Zaha Hadid Architects merge old and new together in this juxtaposing creation, with lighting designs by Ingenium and Inverse. 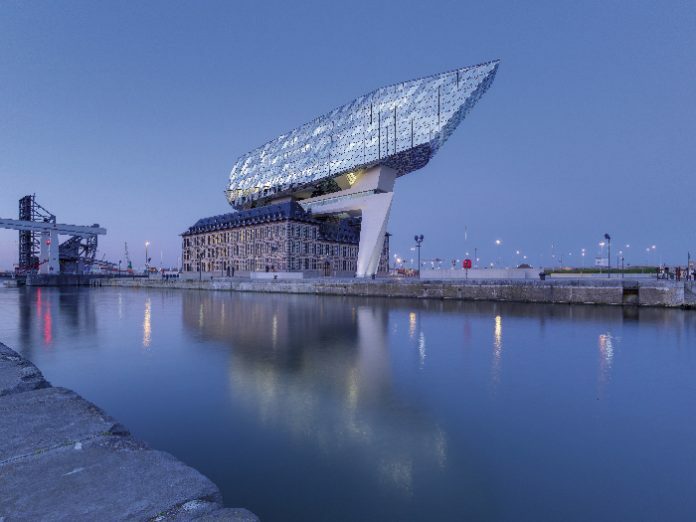 Zaha Hadid Architects have renovated and reimagined the new headquarters for the Antwerp Port Authority, the Havenhuis, with an expressive structure. Positioned above a disused, listed fire station, the multi-facetted façade sparkles with reflections of sunlight and the surrounding water. 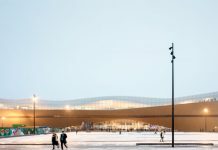 The new structure is commonly referred to as either a diamond or a ship’s hull and provides a fascinating juxtaposition of modern and historic architecture. The mixtures of glass panelling on the exterior of the structure provides a dynamic nature to the architectural merge, emphasising the contrast between the modern glass and the traditional stone box below. Renowned creators of exceptional design, Zaha Hadid Architects have not disappointed with this feat of architecture and have seamlessly brought together the old and new in this project, transforming the old fire station into a vibrant new workplace for those in the Antwerp Port Authority. The main lobby area of the headquarters is situated in a central courtyard, which has been covered with a glass roof to create an outdoor/indoor room. The fire truck hall now accommodates the library with the lower floors of the new extension connected to the upper floors of the older building through a seamless communicative core, which also holds space for restaurants, meeting rooms and an auditorium. The highest five floors are home to a varied office landscape for approximately 500 employees. With an array of unconventional office fixtures, such as trapezoid shaped desks, curved stairways and angled pillars, it was important for the lighting to fit in a similar vein. For the internal lighting scheme, Ingenium were brought onto the project back in 2009 through Zaha Hadid Architects and their Belgian design partners, Bureau Bouwtechniek, who earned their place to provide the main technical concepts via an architectural competition. Ingenium’s Project Manager Joost Verstraete discusses the journey taken to input the lighting design and how the concepts were adapted over time to fit the needs of the clients and the building: “The focus of the lighting scheme was to emphasise the architectural experience but also to stay strong to the client’s desires of creating a comfortable working environment throughout the building, which in turn demanded high technical demands and specs for lighting.” Verstraete explains. 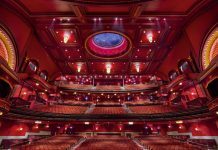 Despite these challenges and changes they had to work through during the project, they managed to remain strong with their original lighting design and accomplish the final scheme. Using a combination of multiple fittings, particularly from Multiline with Tridonic LED components, Ingenium designed a scheme that would be able to adapt to the unconventional interior design of the new extension. There were some limitations and small spaces to work with in some areas, and exposed structural beams revealed in the older sections where certain fittings proved difficult to put in place, for example the lighting lines in the circulation zones. On top of this, the team had to devise a design that would be as clean as possible for the suspended ceiling, i.e. ensuring the lighting lines are integrated seamlessly to make room for other elements such as fire detectors, water sprinklers and movement sensors. Furthermore, the lighting brief also factored in the support of the outside view of the building at night. Using Multiline, a Belgian luminaire manufacturer, a special solution was developed to create an easily integrated internal lighting system that is a recognisable analogy for the architecture. Utilising Tridonic’s know-how in LED technology, Multiline adapted one of their standard luminaires to fit specifically into this project as part of Ingenium’s lighting design. Creating an elegant scheme for the internal offices, Ingenium were keen to highlight the structural elements of the magnificent building, whilst in keeping with the elegance of the building and it’s smooth, clean lines. To emphasise the contouring of the rooms, strip lighting was integrated into the ceiling, creating graphic patterns regularly repeated throughout the space. Stijn Pittomvils, the project manager for Multiline, describes the process: “We have already been very pleased with the LED modules from Tridonic that we use in our standard products. It was therefore never in doubt that we would also use them for the special luminaires for the Havenhuis.” As with many large-scale projects, it is difficult to organise all contributing participants of the design and building to simultaneously coincide with each other. Once the luminaire manufacturers came on board with this project, the ceiling structures had already been determined, thus requiring a specific profile width of 90mm. In total, there was roughly a kilometre of Multiline strip lights equipped with Tridonic LED components that were installed to accommodate the individual room geometries. 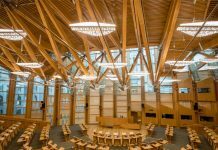 Due to the complex internal design of the building, it was essential to find a flexible LED system that has the ability to integrate into the individual specifications. Furthermore, as with many new builds, it is important to consider the impact of energy usage and how it is possible to reduce consumption levels as much as possible. This was high on the agenda for the lighting in the Havenhuis, so presence and ambient light sensors were installed throughout to ensure the light levels are controlled to suit demand at all times. Run through DALI with LED drivers, the sensors are part of a comprehensive sustainability and energy efficiency concept put in place, which in turn received a ‘Very Good’ BREEAM rating for environmental construction. Not only did Inverse have to tackle the limitations of time, they were also widely restricted with their location options for lighting installations, as it was not possible to put any fixtures onto the surface itself, they were merely allowed to use existing street poles surrounding the area. This in itself also proved difficult, as the poles were restricted to holding a certain amount of weight, which reduced the number of lights they could place on each. The final outcome saw the installation of a combination of fittings from Indelague, Trilux and Zumtobel, to name a few, as well as six Bega floodlights mounted to the roof and 22 on existing poles surrounding the building, resulting in an elegant finish, respectful to the state-of-the-art architecture. The scale of this project demanded an extreme amount of collaboration; time and effort from everyone involved, from the client, the architect and lighting designers. The final result of lighting this grand structure by Zaha Hadid Architects compliments the detailed construction, bringing it to life in a fantastical way. It is a glimmering beacon of architecture and lighting brilliance that can be seen from afar and will remain as a iconic stamp on the Antwerp landscape.